Just like great reunions, time spent with loved ones is a chance to tighten the bonds by remembering the good times and talking about future plans. These are feel-good times, bathed in laughter and amusing anecdotes. These simple, honest moments are also appreciated for the spontaneity they allow. By the sea or in the park, invite them along to a relaxed, easy-going get-together to celebrate the simple joy of being together. 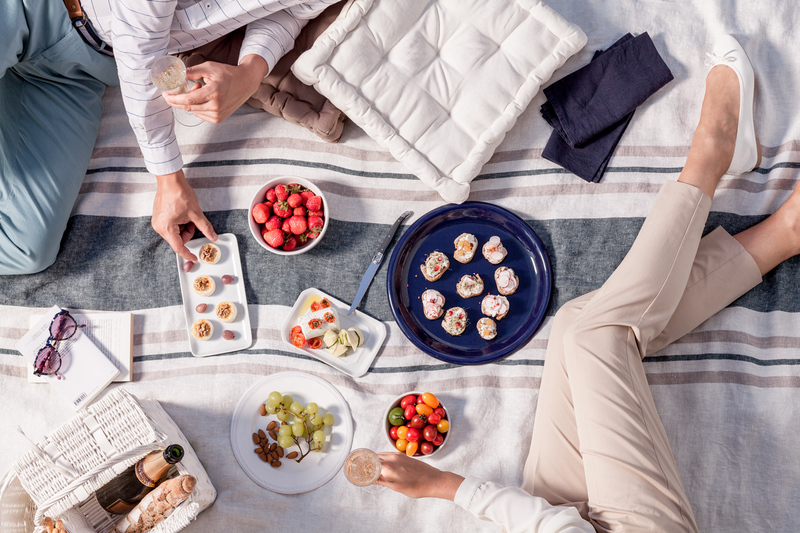 Ask everyone to bring a snack and lay them out on a pretty tablecloth; some salami and crusty bread, fruit and tangy, melt-in-the-mouth ILE DE FRANCE® cheeses, to make it a really special moment.